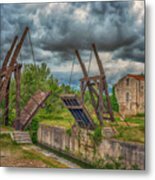 Pont Van Gogh Arles France _dsc5850_16 is a photograph by Greg Kluempers which was uploaded on July 25th, 2016. 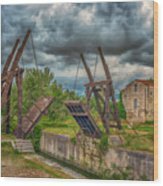 For the works by Vincent van Gogh, see Langlois Bridge at Arles (Van Gogh series). Langlois Bridge (French: Pont de Langlois) was a drawbridge in Arles, France, which has been the subject of several paintings by Vincent van Gogh in 1888. 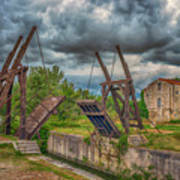 Being one of eleven draw bridges built by a Dutch engineer along the channel from Arles to Port-de-Bouc, this bridge might have reminded the artist of his homeland. New canals were opened up in southern France as they were needed to expand the network of canals. In the 19th century a canal was built from Arles to Bouc, located on the Mediterranean sea. Locks and bridges were built, too, to manage water and road traffic. Just outside of Arles, the first bridge was the officially titled "Pont de R￿nelle" but better known by the keeper's name as "Pont de Langlois". In 1930, the original drawbridge was replaced by a reinforced concrete structure which, in 1944, was blown up by the retreating Germans who destroyed all the other bridges along the canal except for the one at Fos. The Fos Bridge was dismatled in 1959 with a view to relocating it on the site of the Langlois Bridge but as a result of structural difficulties, it was finally reassembled at Montcalde Lock several kilometers away from the original site. 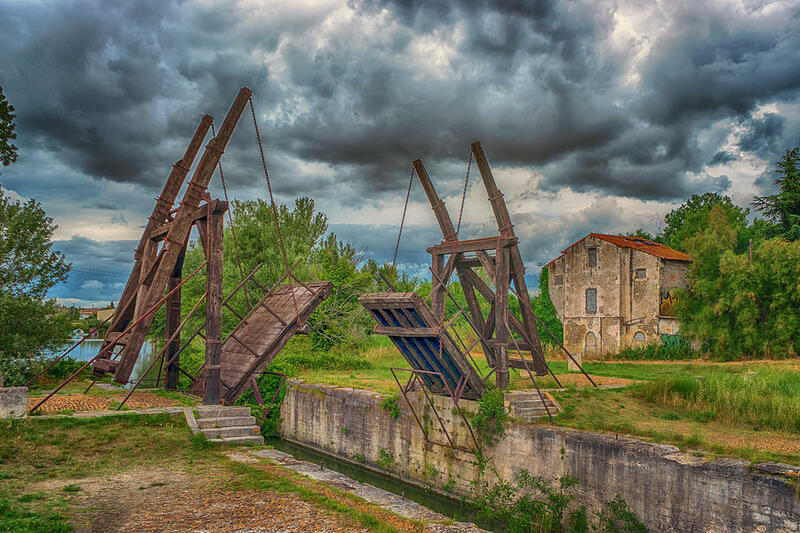 A reconstructed bridge of the Langlois Bridge, named "Pont Van Gogh" (Van Gogh bridge), recognizing the works that Van Gogh made of the bridge, is owned by the Arles tourist board. There are no comments for Pont Van Gogh Arles France _dsc5850_16. Click here to post the first comment.